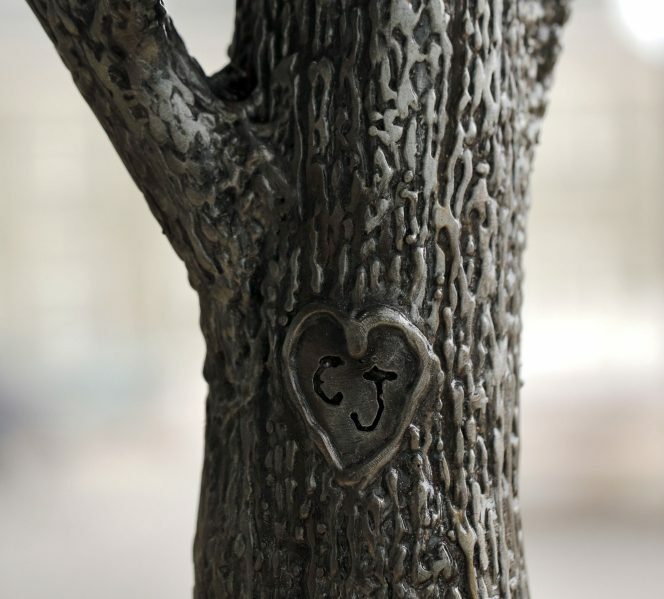 The 'Tree of Life' will be unveiled at the Portland hospital on Tuesday. 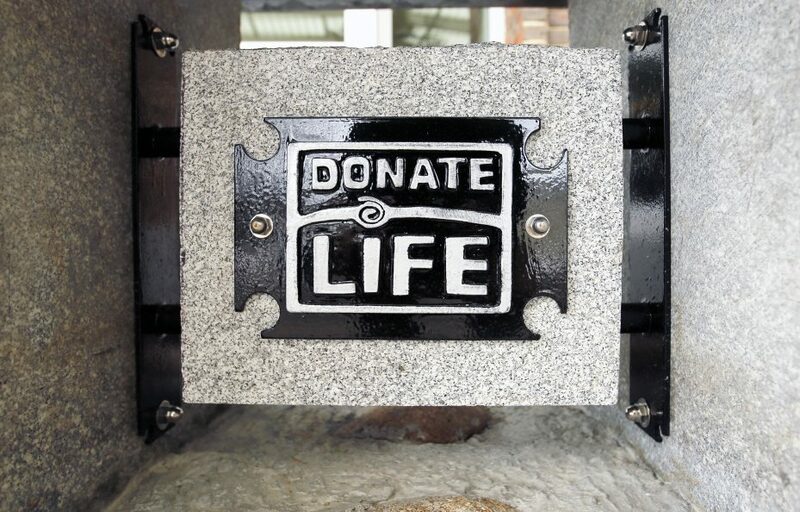 The mother of a young organ donor who died in 2010 and later donated one of her own kidneys to a stranger said she hopes a new sculpture at Maine Medical Center will encourage others to become organ donors, too. 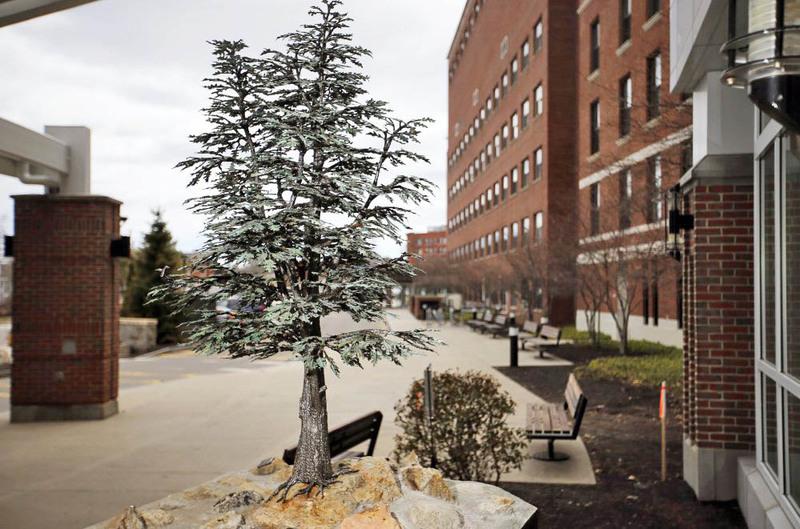 Hallie Twomey of Auburn led the fundraising effort to install the “Tree of Life” sculpture at the main entrance of the hospital in Portland’s West End. The sculpture will be formally unveiled at a ceremony Tuesday, when Twomey will see it for the first time. “The timing of this is pretty profound,” she said. Tuesday is just a few days away from the anniversary of the death of her son Christopher John “C.J.” Twomey at age 20. She said he shot himself in front of her during an argument on April 14, 2010, and died the next day. He had identified himself on his driver’s license as an organ donor. Wracked with guilt and sadness over his death, Twomey, who had been volunteering for New England Donor Services in support of organ donation since her father received a successful heart transplant 14 years ago, stepped up her efforts to spread the word about organ donation. “I just needed to do more than I had,” she said. Since then she has raised more than $60,000 for New England Donor Services, which is based in Massachusetts. She met the man who received one of her son’s kidneys. She donated one of her own kidneys during a chain of paired kidney transplants on Dec. 19, 2013, that included six people from Maine, Connecticut and Michigan. Transplanting kidneys by means of such chains is a growing practice that relies on meticulous planning among hospitals, efficient transportation of the organs and, above all, people who are willing to give a part of themselves to someone they don’t know. Twomey’s kidney was removed by Dr. Juan Palma at Maine Medical Center. It was then transplanted into a Connecticut man in New Haven whose father donated a kidney that went to a Michigan woman during an operation in Toledo, Ohio. A Michigan man donated a kidney that went to Gary Rutter of Old Orchard Beach, who received the transplant at Maine Med. “Parents are not hard-wired to lose their children, let alone by suicide, let alone watch it happen. If I had done nothing, C.J. will have died in vain,” said Twomey. Kidney transplant chains involving living donors reduce waiting times to just a few months from the up to five years or more it can take when the donor is deceased. “The more pairs you enter into the equation, the more matches you will find,” Palma explained in 2014. The average waiting time for a kidney from a deceased donor keeps lengthening. The current average wait is 3.6 years, according to the National Kidney Foundation. In 2016, there were 121,678 people nationwide waiting for organ transplants, 100,791 of them for kidneys. There were 17,107 kidney transplants in 2014, 11,570 of them from deceased donors, according to the foundation. It said 22 people waiting for any kind of an organ transplant die daily, 13 of whom are awaiting kidneys. About 54 percent of the U.S. adult population are registered organ, tissue and eye donors, according to Donate Life America, a nonprofit organization that promotes organ donation. The “Tree of Life” sculpture, created by Rod Iron Designs – the father-and-son team of Rod and Merton Blood of Lovell – features a tree rising up from the ground. Rod Blood said the hospital approached him with the commission. 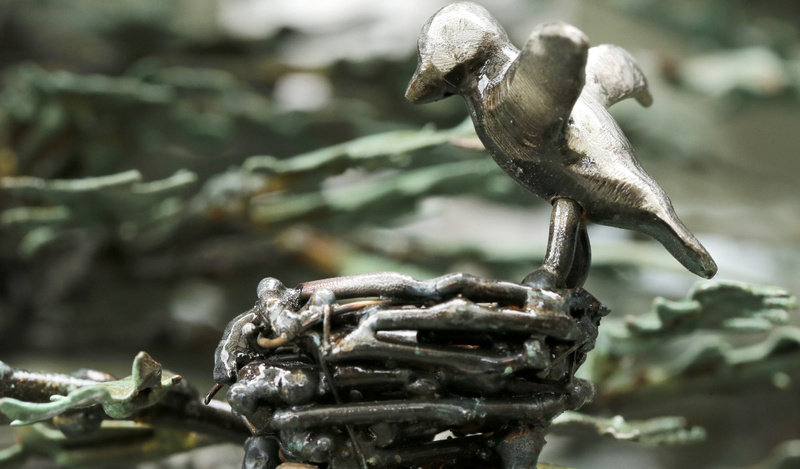 The sculpture is made from welded steel. The leaves on the tree are made from copper that has a patina. The tree sits on a base made from local feldspar. “Anything that will raise awareness as to what they are doing and the lives they are saving is a cool thing,” said Rod Blood, 72, who has been sculpting for more than 50 years. Money for the sculpture was collected at local blood drives, auctions and direct solicitations. Maine Med is the only hospital in the state that performs transplants. It has done more than 1,500 since 1971. Tuesday’s unveiling is timely in another way: April is National Donate Life Month. Twomey said she hopes the sculpture will do some good when passers-by spot it. “As a parent who is terrified her son will be forgotten, I hope people will not only think about C.J. but maybe have a conversation about organ donors,” she said.